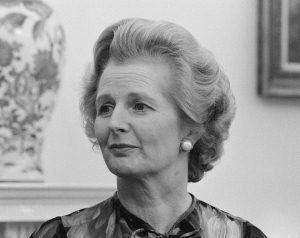 Robert Pearce considers why Margaret Thatcher became Prime Minister in 1979. She was Britain’s first female Prime Minister and our longest-serving Premier of the twentieth century. In addition, she was a dominant leader. Rather than conforming to consensus views, she was prepared to say and repeat ‘No’, and very loudly indeed. ‘The lady is not for turning,’ she once famously intoned. So intransigent did she become that cabinet colleagues had to turn on her to secure her removal, in 1990. But how did Margaret Thatcher achieve power in the first place, in 1979? Her predecessor as Prime Minister, James Callaghan, prefaced his memoirs with a quotation from the book of Ecclesiastes: ‘The race is not to the swift, nor the battle to the strong … but time and chance happeneth to them all.’ Yet surely mere circumstance could not have projected the ‘Iron Lady’ into power?